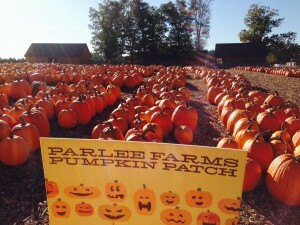 Over 40,000 Pumpkins grown at Parlee Farms! 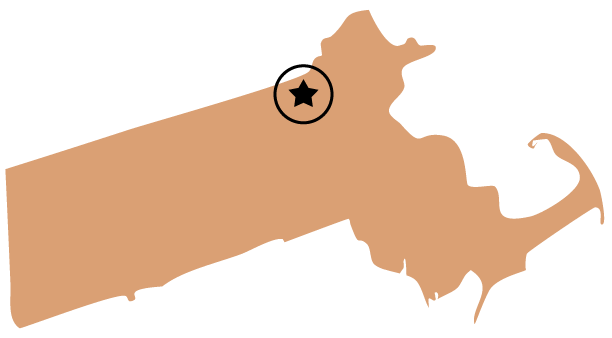 We grow over 15 acres of pumpkins in all sizes and shapes at our farm in Tyngsboro, MA (a short drive from Boston, MA – situated between Lowell, MA and Nashua, NH), from mini-pumpkins to pumpkins topping the scales at over 40 pounds. Those 15 acres produce over 40,000 pumpkins! Enjoy the crisp fall air and warm sunshine while picking out the perfect jack-o-lantern! During the pumpkin picking season, picking hours and prices can be found at Today’s Farm News. 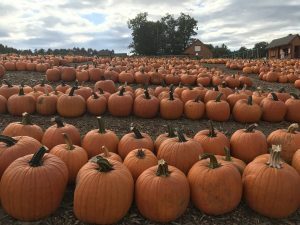 Over 40,000 Pumpkins Grown at Parlee Farms in Tyngsboro MA! After you have found that perfect jack-o-lantern, go pick crisp, juicy apples in our Apple Orchard. And visit our Farmstand and take time to watch our Apple Cider Donuts being made right before your eyes. Or order a Warm Apple Crisp at Mary’s Country Kitchen to enjoy at one of our picnic tables. A visit to Annie’s Animal Barns to feed our friendly farm animals is great family activity. And for our littlest customers, a run around the Hay Play Area or a spin around Farmer Mark’s Tractor Training Course are great ways to finish a fun fall day at Parlee Farms! Daily updates available at Today’s Farm News.